Congratulations to Cynthia Watson who has recently accepted the position of Internal Controls Sr. Manager at Honeywell based out of Morris Plains, New Jersey office. In this role, Cynthia will have responsibility over various SOX 404 program requirements, managing branch audits and other internal control engagements spanning compliance, operational, and financial reviews. Most recently, Cynthia has been a Controls Manager at Pearson Inc., where she provided guidance on controls throughout the implementation of an ERP system. Prior to this, she was an Internal Audit Manager at Pearson. 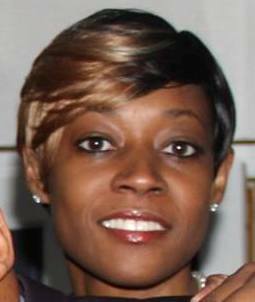 Cynthia also worked as a Senior Auditor at KPMG and New Jersey Sports and Exposition Authority. Cynthia holds a Bachelor of Science degree in Business Administration with a concentration in Accounting from Montclair State University. She is a Certified Internal Auditor (CIA) and Certified Information Systems Auditor (CISA). NABA NNJ wishes Cynthia all the best in her career and best of luck with the Honeywell Corporate Audit team!